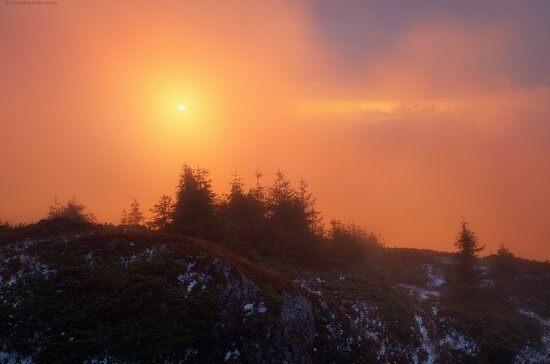 Gorgany is a system of mountain ranges extending up to 75 km in the outer band of the Ukrainian Carpathians, in the Ivano-Frankivsk and Zakarpattia regions. The width from east to west is about 40 km. The name comes from the name of rock slides called “gorgan”. The highest peak is Mount Syvulia (1836 m). 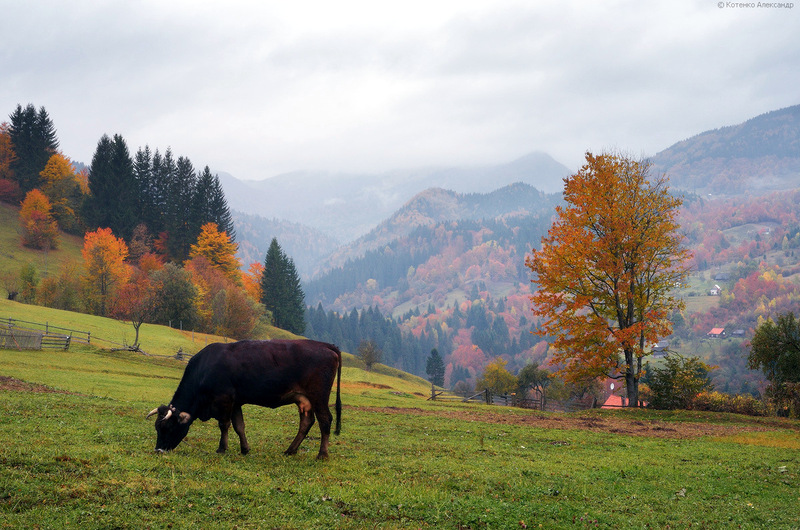 This area is very popular among tourists, here you can find the most wild routes in the Carpathians. 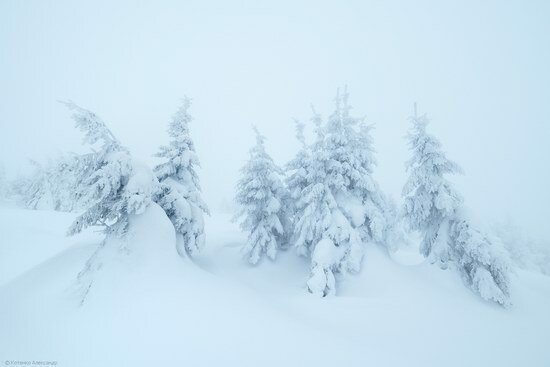 In winter, the Ukrainian Carpathians, part of the Carpathian mountain range in the west of the country, are like a remarkably beautiful place from a fairy tale. Let’s go on a trip to the area near Mount Chorna Klyva (1,719 meters), located on the border of Ivano-Frankivsk and Zakarpattia regions. Photo by: Alexander Kotenko. 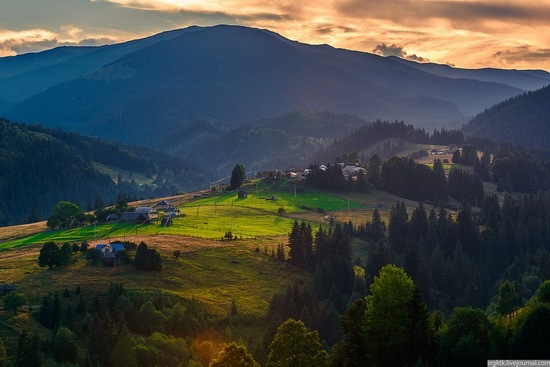 Hutsul Alps (also known as Marmarosy) is a mountain range located on the territory of Romania and Ukraine (in the southern part of the Rakhiv district of the Zakarpattia region). 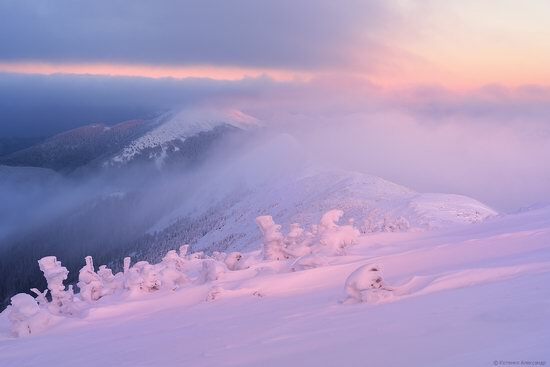 Ukrainian part of the mountains is called Rakhovsky mountains. Marmarosy is the most diverse and picturesque mountains in the Ukrainian Carpathians thanks to high altitude (over 1,900 meters), diverse geological structure, deep valleys (up to 1,500 meters). The Ukrainian-Romanian border passes through them. Photos by: Alexander Kotenko. 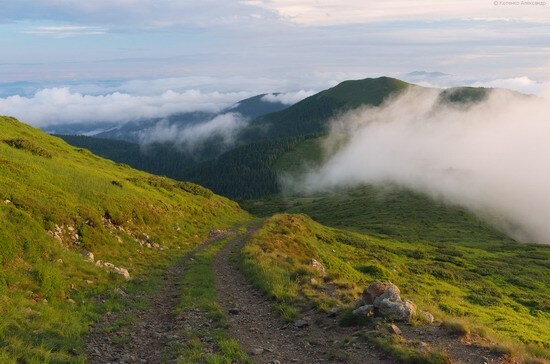 The Ukrainian Carpathians is part of the Carpathian mountain system located in western Ukraine, on the territories of the Lviv, Ivano-Frankivsk, Zakarpattia, and Chernivtsi regions. The total area of the mountains is more than 24 thousand sq. km. Summer and winter are the most popular seasons to visit the Ukrainian Carpathians. However, in autumn, you can see a real riot of colors which makes the mountain scenery incredibly beautiful and picturesque. Photos by: Alexander Kotenko. Dzembronya is a small village located on the steep slopes of Chornohora Ridge in Verkhovyna district of Ivano-Frankivsk region, near the border with Romania. It is the most high-altitude village in Ukraine and probably one of the most picturesque ones. Despite the fact that the population of Dzembronya is only about 250 people, the length of the village is about 10 km. There are no enterprises, collective farms, industrial facilities here. 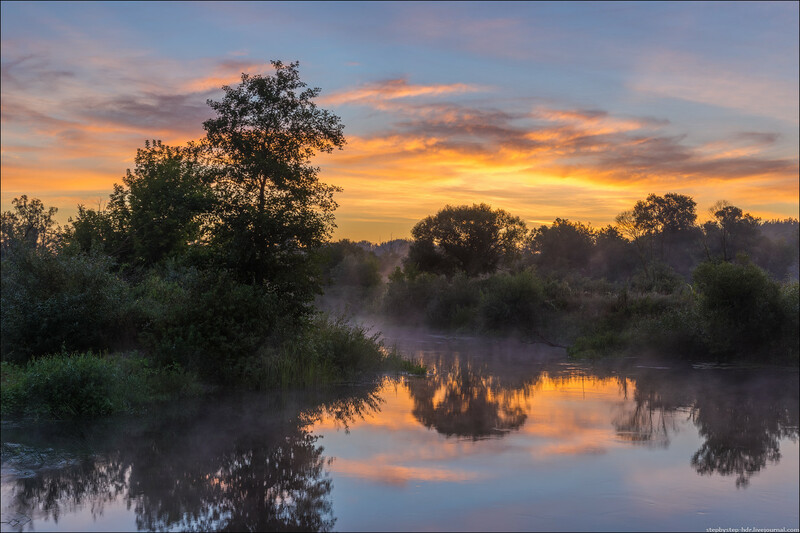 If you wake up early, while traveling on the Vorskla River around Okhtyrka in Sumy region, you can see this surprisingly colorful scenery. Photo by: Sergey Stepanenko. Let’s fly over a beautiful landscape park located in the village of Buki in Kiev region, about 110 km south-west of Kiev. The park was founded by the local entrepreneur Ivan Suslov in 1996. Thousands of tourists come here to enjoy the beautiful countryside and views. 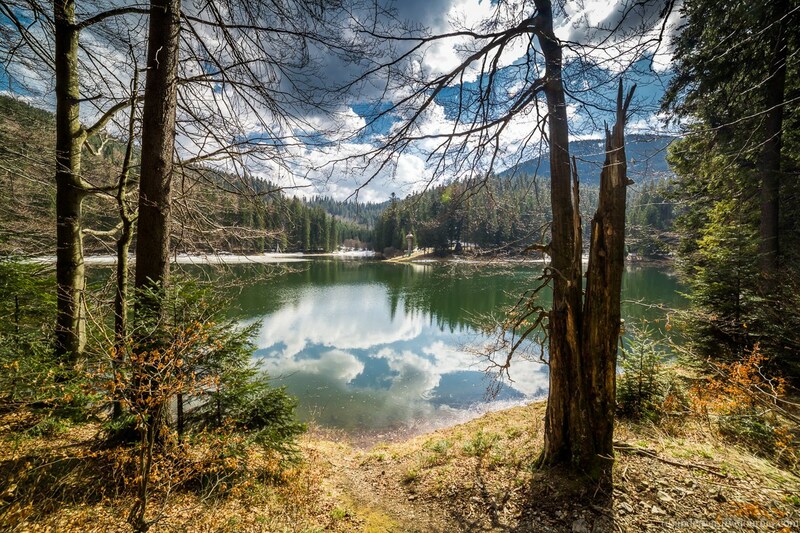 Synevir is the most famous and largest lake in the Ukrainian Carpathians, located in the upper reaches of the Tereblya River, in Mizhgirya district of Zakarpattia region. The area of its water surface is about 4-5 hectares. The lake is rich with trout, but fishing is prohibited. It is located at an altitude of 989 meters above sea level, the average depth – 10-12 m, the maximum depth – 24 meters. In 1989, the areas surrounding the lake became the National Park Synevyr. Lake Synevyr on Google Maps. Photos by: anderver. Chornohora is the highest mountain range in the Ukrainian Carpathians located on the border of Zakarpattia and Ivano-Frankivsk regions. 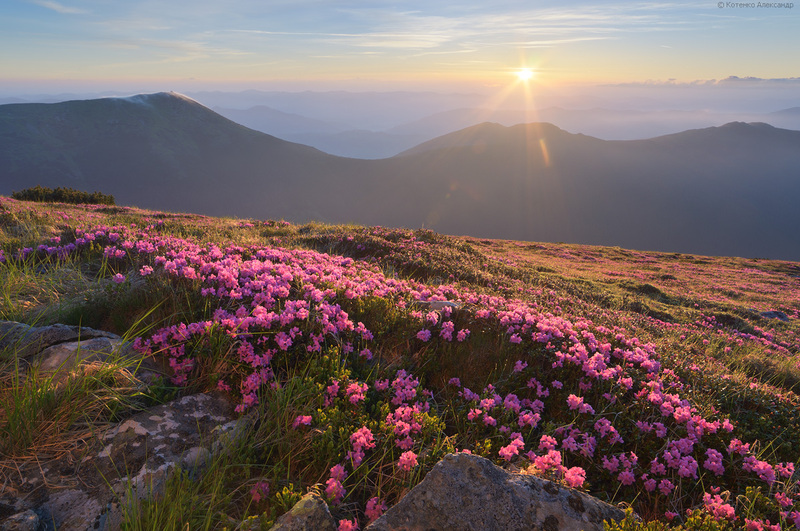 It is especially beautiful at a time when the slopes of the range are covered by flowering rhododendron. Chornohora on Google Maps. Photos by: Alexander Kotenko.